10:08 am EST. Today we have 2 battles between David and Goliath. Men are playing with Macau and women with Slovenia ( former Yugoslavia, it gives you an idea about level ). Women look OK for now, but the class often shows later in the game, let’s hope for a miracle. 2nd board, Yuan Yuanling, sacrificed already 2 pawns and has initiative, difficult to say how strong it is. 1st board, Natalia Khoudgarian has, actually, good position with her +350 opponent. But I just noticed she has one hour less on the clock. Maybe some regular noticed, that I make more comments about women, than men. The reason is simple ( it’s not that I am a woman 🙂 ) – I know 3 out of 5 team members and in men’s team I know only one. Yuan Yuanling and Dina Kagramanov – I played once with each ( lost, but got at least 30 moves 🙂 ). 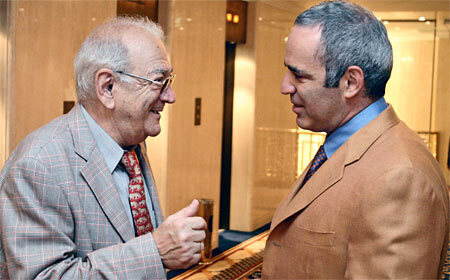 The last 2 are Natalia Khoudgarian – she and her husband taught chess to my kids and Nikolay Noritsyn – Canadian Champion. I saw once how he played – I could never guess his moves. 11:30am. So far results as expected – men 3:0, women – 0:1. 12:50pm. Women – 0:2 and looks like it will be 1:3. GMs I watched: Kamsky – Leko and Kramnik – Aronian drew. 8:25am EST. Pairings are ready, so what’s for Canada? As I expected, our women got a difficult opponent – Mexico with 4 WIM. Men got easier task, they play with Iraq, which have only 2 FMs. As for others, pair Kamsky – Dominguez looks interesting, Dominguez recently won World Blitz Almaty Blitz Chess World Championships – went undefeated with 11.5 points, 8 victories and 7 draws against most of the major players in the world ranking. 9:30am. Dominguez plays White, Ruy Lopez, quiet schema with d3 and c3. 10:25am. Bad news – on the first board for men’s team our GM made a standard sacrifice Bxh7+, but overlooked some defense and resigned. Women look OK for now. In Kamsky – Dominguez game they have e4,d4 – e5,d5, so the play will open. 11:00am. 3rd board for women sacrificed a bishop for 2 pawns, I hope she has compensation. 2nd board looks good. 12:00pm. 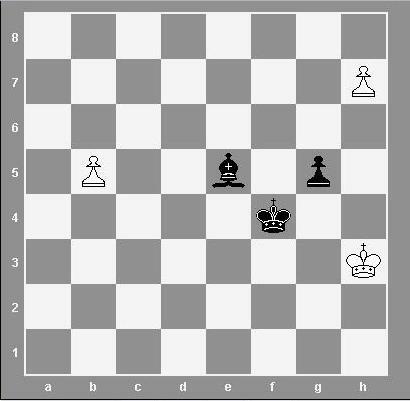 Women – 1st board just won a pawn, 2nd board won, 3rd is losing badly, 4th in time trouble. Kamsky – Dominguez are close to a draw, i think. 12:20pm. Our women are leading – 2:1! And the time trouble on the 4th board became mutual. 12:35pm. Men are losing 1:2 and the best 4th board can get is draw I think. Dominguez looks better to me now with pair of bishops. Women are simply blitzing, I like Canada’s position more. 12:55pm. Suddenly, after exchange of tactical strikes Gata is remote passed pawn up, but with opposite colored bishops. 1:07pm. Kamsky-Dominguez – draw. Our Irina Barron went into R+3p vs. R+4p all on kingside endgame. Isn’t it a draw? Nikolay on the 4th board is trying to save the match, he is pawn down, but has excellent knight vs. bad bishop with queens. 2:20pm. Both Canadians drew, setting 2.5:1.5 for women and 1.5:2.5 for men, both results pretty surprising to me. Bxg7! 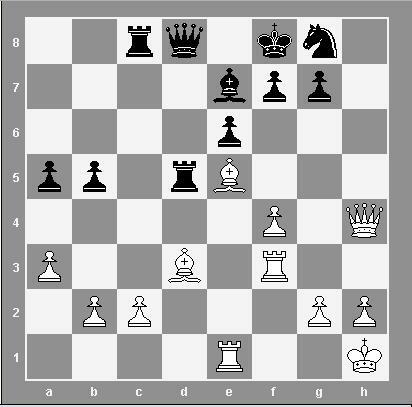 Kxg7 then Rg3+ – Black resigned. It should be interesting day. Our men team is playing with Yemen. Funny, Yemen put 2100+ rated player on the first board against 2500+, and 2400 on the second one. I think, Yemen is aiming for a draw creating a match on 2nd and 4th boards. Women’s team is playing against Nigeria, unrated FIDE, for now Nigeria plays pretty decently, but I think higher class should prevail. We will see. Carslen is playing with Mamedyarov, it could get sharp, and Kramnik plays against Naiditsch, he lost to Naiditsch recently in Petroff, they are playing Petroff now! It’s another variation. 10.40 am EST. Kramnik drew. Nigeria team plays well, it’s starting to worry me. 11:25am. Women have advantage on 2nd board, other boards look pretty equal. Carlsen gave up the bishop for 3 pawns, very sharp position. 12:10pm. Carlsen drew. Women won on the 2nd and 3rd boards and are winning on the 1st, 4th looks good too. Frankly, I couldn’t understand move Kf4 and became really worried. White resigned ( none of the upcoming queens can prevent a checkmate 49. … g4# ).